The knife is the primary tool for most bushcraft tasks. Selecting the correct knife for you is an important decision as the knife you choose will either work well, and tasks can be done easily. Or it will not and the same tasks become harder. At worst it can be dangerous to use. Having a custom knife made can overcome these problems because if its well made, it will fit both you and the purpose it was designed for. Bushcraft skills are not only fun to learn, but are a fantastic way to enhance just about any outdoor activity, a weekend fishing trip, family camp, BBQ or birthday party. These can all benefit from skills such as; the ability to create fire seemingly from nothing, make your own pies and breads. Carve wood into tools or toys and identify the plants and trees growing around you. 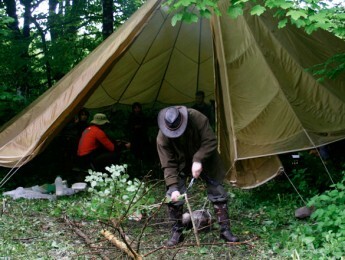 Origin Bushcraft offer a number of courses covering these subjects and many more. 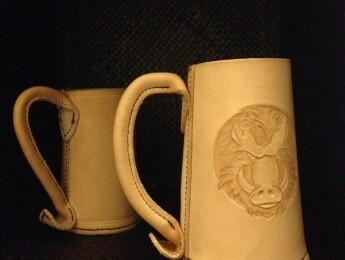 From phone to gadget pouches through knife sheaths and axe masks, to belts and even tankards, I love doing leatherwork. If you have something you would like made in leather please feel free to contact me for quote. 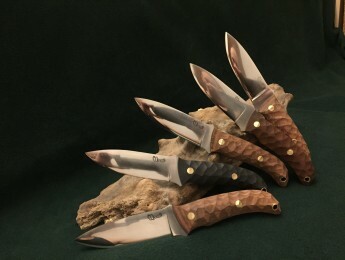 Origin manufactures high quality knives and leatherwork by hand for those interested in bushcraft and survival,hunting, fishing, foraging or possibly a custom kitchen knife. Each knife is designed by myself and therefore, I believe, unique to Origin. You can of course supply your own design or i can work with you to create something special. 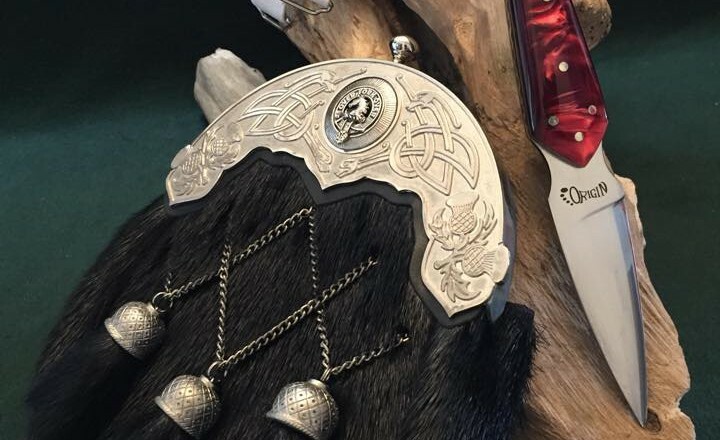 All my leatherwork is bespoke and done by commission. I also run short bushcraft courses in the southwest of Scotland and in the lake district near Windermere.